When I retired about two years ago, my wife, Leslie, and I started looking for a place to spend our retirement. It had to be warmer year-round than Chicago’s western suburbs, where we froze for 16 long winters. After years of reading International Living and attending an IL conference, we started a quest that was, at first, focused on Europe. We spent six weeks in Alicante, Spain, and loved it. Then, as winter set in, we moved on to Malta, which was nice but not quite warm enough. Because we were travelling on passports alone, our time in Europe ran out too quickly and we had to leave. So we headed for Mexico. Over the next six months, we lived in San Miguel de Allende, Puerto Vallarta, Merida, and Playa del Carmen. It didn’t take long to fall in love with this country. In fact, after a brief trip back to the U.S. to visit friends and family, we headed south again. This time to Ajijic in the Lake Chapala area. Now we’re very close to picking Mexico as our new home, and it’s a complete surprise to us. We always assumed we would be relocating to Spain or France. 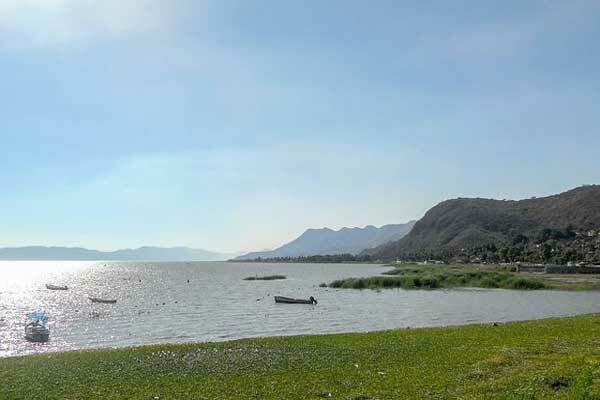 Lake Chapala, near which Mike is spending time, is Mexico’s largest freshwater lake. Why Mexico? It’s warm here, even at higher altitudes like in San Miguel (6,200 feet) and Ajijic (5,020 feet). Daytime highs are comfortable, and the cool (but not cold) overnight lows happen at 4 a.m., when we’re sleeping. We often wore light jackets during the day in Europe, and sometimes we even needed something heavier. Cost of living is a big factor in Mexico’s favor. In Merida, for example, I bought a bag of 12 limes at the local mercado for 15 pesos. That’s less than a dollar. In Ajijic, I found a tortilleria just a few blocks from where we were living and bought a stack of 30 corn tortillas for seven pesos—that’s 37 cents at today’s exchange rate. At the weekly market, we bought fresh fruits and vegetables that filled up two large cloth shopping bags for 180 pesos—less than $10. 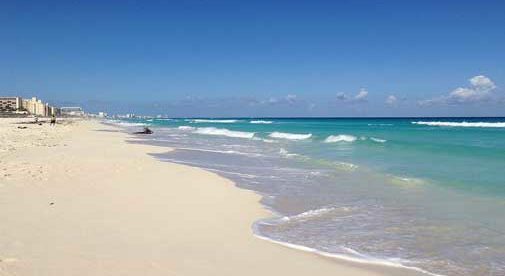 Costs are lower in Mexico to begin with, and the exchange rate is favorable to the U.S. dollar. Geography is important, too. Living in Mexico puts us closer to family and friends than if we were in Europe. It costs less and takes less time to get back to the U.S. if there’s an emergency. Finally, there is a thriving expat community in Mexico. We have new friends all over the country now. Don’t get me wrong—we love Europe and plan to spend more time there. But all the signs point to us retiring south of the border full-time.